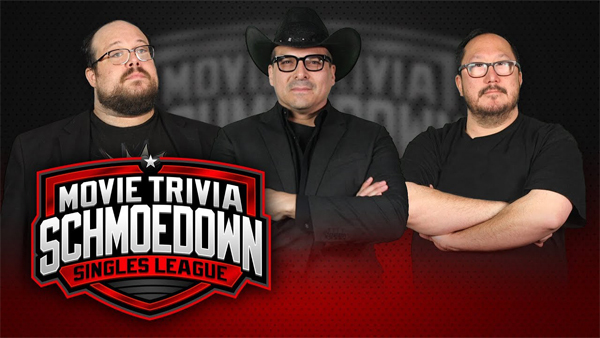 William Bibbiani follows up his epic Free For All performance with a Triple Threat match in the Movie Trivia Schmoedown! It's William "The Beast" Bibbiani facing his old rival John "The Outlaw" Rocha and the 2018 Rookie of the Year Ethan "Big Time" Erwin! Three former champions with a title shot on the line! Who will emerge victorious? You'll have to watch the latest Movie Trivia Schmoedown to find out! Watch the match after the jump!